After last week’s dodgy and weirdly-paced ‘The Girl Who Died‘, which was criticised as “overhyped” and a “waste” of guest star Maisie Williams (Game of Thrones), I expected little of ‘The Woman Who Lived’. I can safely eat my words. ‘The Woman Who Lived‘ is everything its predecessor was not: intelligent, well-paced, thought-provoking and straightforward. I would even claim that it’s the best episode of a so far so good (bar that last episode) new season. It’s certainly my favourite. 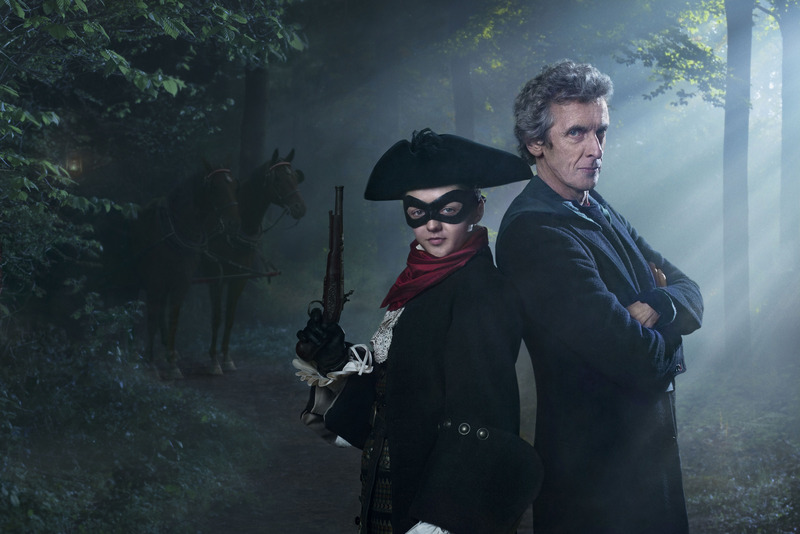 It’s now 1651 and the Doctor accidentally runs into the Viking girl he made immortal, Ashildr. Except she’s not Ashildr anymore. She doesn’t even remember that was once her name. In this new world, she is the dangerous highwayman known as “The Knightmare” by night, and a Lady in Cromwell’s England by day. She is less than Ashildr in more than name. In a thought-provoking examination of the consequences of immortality on human morals, Ashildr has grown skilful and intelligent yet bitter and apathetic to everyone around her. She has lived through centuries of human tragedy and lost everyone she cared about, including her own children to the Black Death. As she has lived through so much, she has forgotten most of her life – kept alive only in the painful journals she writes. (I find myself wondering how she transports so many heavy books around, but this is not mentioned, as issues of practicality rarely are by Doctor Who). Ashildr (or ‘Me’, as she now calls herself) has never given anyone the second immortal brain chip, due to a combination of no one being good enough and wanting to curse no one. The Doctor is horrified. It’s a throwback to the reason the Doctor always travels with a companion: to maintain his humanity. Knowing no companionship and only death, Me has become the Doctor’s worst fear. The plot is as follows: The Doctor and Me team up to hunt for an amulet that can open inter-universe portals. Unbeknownst to the Doctor, Me is searching on behalf of another space travelling alien, a Leonian called Leandro, who has promised to take Me with him to travel the universe. It’s an offer the bored, overconfident and lonely woman can’t refuse. After stealing the amulet, Leandro reveals himself. Leandro and Me tell the Doctor of their plan: to open a portal between Earth and space to travel out. But first, someone must die to open the portal. That someone is a fellow robber, the hilarious highwayman Sam Swift, played by comedian Rufus Hound, who has been sentenced to death for his crimes. As he waits for his execution, he let rip a thousand hanging-related puns, much to the amusement of the crowd. It’s genuinely a laugh, and the character instantly charms me. Me and Leandro open the portal to the other side with the death of Sam – and it’s [very] quickly revealed to be a trap. Me isn’t going to escape with Leandro. Leandro is going to let his brethren in to destroy the planet. Me realises she does not want the world to die for her, and uses the second brain chip to resurrect Sam, his life closing the portal opened by his death. The final scenes of the episode leave the return of Me and the now immortal Sam Swift in little doubt. They are immortal and tied to the Doctor. Me assures the Doctor that she will always be around to tidy after him: deal with the people the Doctor has left behind so they do not suffer as she has. It’s a poignant thought to leave on, and it’s clearly not intended as an ending for her character. Much of this episode was a two-parter between Maisie Williams and Peter Capaldi, with Clara (Jenna Coleman) off on a school trip. It works wonderfully, with both actors revelling in their roles, and verbally sparring effortlessly. The scripting is excellent, using emotional metaphors and straightforward but suspenseful storytelling. It’s not difficult at all to imagine Maisie as the Doctor’s assistant, or at least playing a regular returning role like River Song (except, let’s face it, more likeable). Rufus Hound is also an addition I can’t wait to see again. If ‘The Girl Who Died‘ wasted Maisie and made a great deal of very little, The Woman Who Lived does anything but. The well written script by Doctor Who debutant Catherine Tregenna, brought to life by the incredible Peter Capaldi and Maisie Williams leaves me pondering the consequences of living forever even now as I write this review. Maisie Williams must return, as must Catherine Tregenna. A triumphant episode.